(a) Remove the 2 headrests. (a) Using a clip remover, disengage the 11 clips and remove seatback board carpet. (b) Using a screwdriver, disengage the claw and remove the hinge cover by pulling it out in the direction indicated by the arrow in the illustration. (b) Using a screwdriver, disengage the claw and remove the cover. (b) Using a screwdriver, disengage the 4 claws and remove the moulding by pulling out the moulding in the direction indicated by the arrow in the illustration. 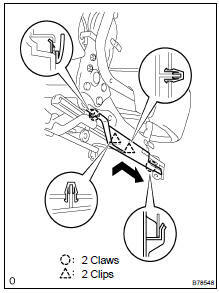 (b) Using a screwdriver, disengage the 2 claws and remove the bracket cover by pulling it out in the direction indicated by the arrow in the illustration. 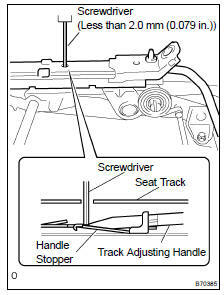 (a) Using a screwdriver, disengage the 2 claws and 2 clips and remove the hinge cover by pulling it out in the direction indicated by the arrow in the illustration. (b) Remove the reclining cover in the direction indicated by the arrow in the illustration. (a) Using a torx) socket wrench (T40), remove the 3 torx) bolts. (b) Using a torx) socket wrench (T55), remove the 2 torx) bolts and seatback frame. 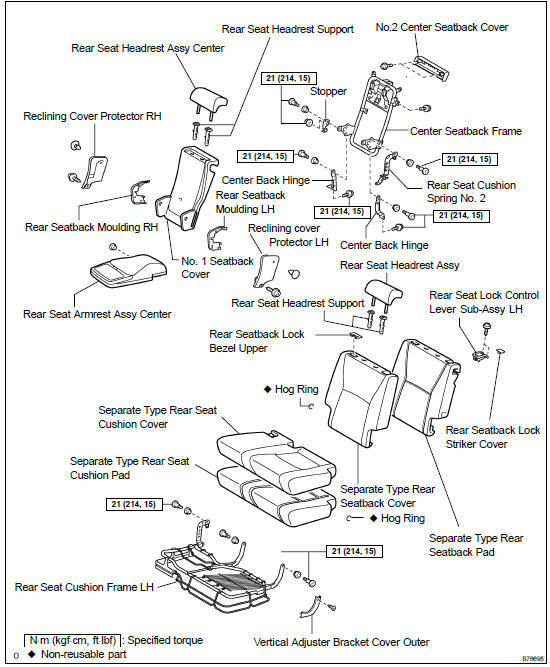 (a) Outer side side: Using a torx) socket wrench (T40), install the seatback frame lower to the fold seat cushion frame with the 3 torx) bolts. (a) Using a torx) socket wrench (T45), install the armrest with the 2 torx) bolts. 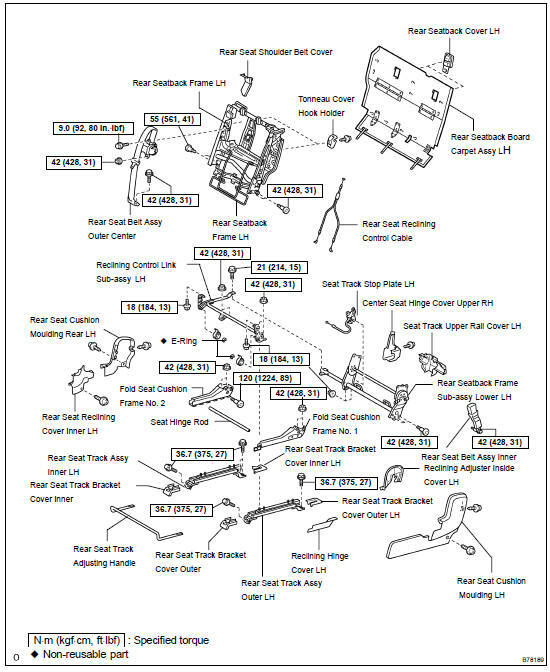 (b) Using a torx) socket wrench (T45), install the seatback assy with the torx) bolt.